In the village of Yavakapadi is the second palace of the Kodagu Rajas (1633-1834). This is called the Naalnaad, or Nalknad, Aramane. The first palace is inside the Madikeri Fort. The Naalnaad palace was built in a remote location amidst the jungle and among the hills. 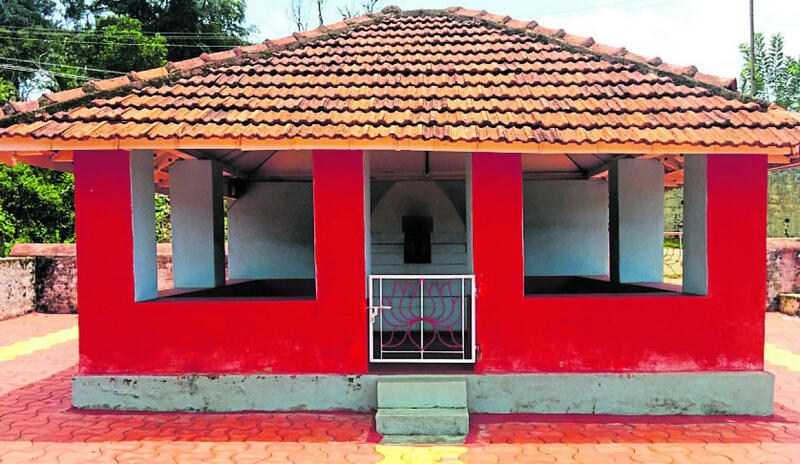 Naalnaad Aramane is a two-storey structure built in the style of the traditional houses of Western Karnataka and Kerala. Beside this is the Aramane Government school. It was raining continuously at the palace at 9.45 in the morning. One could hear students singing Kuvempu's composition, the state song Jaya Bharata Jananiye Tanujate, nearby. They were assembled in the portico of the school building and facing the headmaster. Umbrellas were hanging to dry upon a line between pillars under the eaves outside the classrooms. The school has three classrooms, one for the headmaster Basavaraju, who is from Gorur in Hassan, and another teacher. The next room is for students studying in the 1st, 2nd and 3rd standards. The last room is for students in the 4th and 5th standards. Students of each standard are given cards pertaining to their respective classes. The students seemed to be distracted by tourists who come to the palace. Altogether, 13 students from the neighbouring tribal settlements study from classes 1 to 5. Nearby is one such settlement called the Kaplakeri hamlet, the only one with members of the Kapala tribe. The Kapla (or Kapala) tribe is claimed by some scholars to be mixed descendants of the Siddis. In the ancient past, Arab and Portuguese sailors brought Bantu speaking Africans from Abyssinia (Ethiopia) to India. These Africans were called Siddis and employed by Indian kings, both Hindus and Muslims, as bodyguards and executioners. Some of them settled down in Gujarat and Karnataka in India while others settled down in Pakistan. While some of them became Muslims others settled in the forests and lived a relatively primitive existence. The Siddis came to settle down in Uttara Kannada, Belgavi and Dharwad districts of Karnataka. The Rajas of Kodagu had relatives ruling kingdoms such as Nagara, Sode, and Kittur in parts of these regions. If the Kapala really has Siddi ancestors, then the Rajas must have brought their ancestors to the place. But only a DNA genetic study can verify the link between the Siddis and the Kaplas. A phone call had prompted my visit to Kaplakeri. Ketolira Sunny Somanna, a coffee planter and former army-man from the Kodava community, had introduced me to his farm supervisor Dhanu and an anthropologist Ashok Patel from the Dharwad University. Dhanu is from the Kapla community and was my guide during the trip. 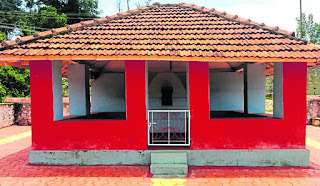 Nachappa Kapla's hut and regular meals by the Kaplas were arranged for researchers during their stay. The theories about the origin of the word Kapla are various. According to Sunny, the word Kapla comes from the word Kapali, meaning a devotee of Shiva. According to the Kaplas and the researchers, the word Ka-paala meant a protector, as they guarded the king in former times. Yet another theory says that the word Kapaala comes from the word Kafir, 'infidel' was used by the Arabs for non-Muslim African natives at one time. This became corrupted as Khapiri in Konkani, Kaapiri in Sinhalese, Kaapili in Tamil and then Kaapaala in Kodava thakk (the Kodava language). Like the mainstream Kodavas, the Kapala community speaks the Kodava language, dress like them and believe in the same religious practices. Even their marriage and funeral customs are similar. Every April at around the 17th or the 18th they propitiate their gods in the theray ceremonies, the spiritual worship of Kodagu. Socio-economically, they are relatively poor, but they identify themselves as being superior by caste to the Kembatti and Meda labourers. 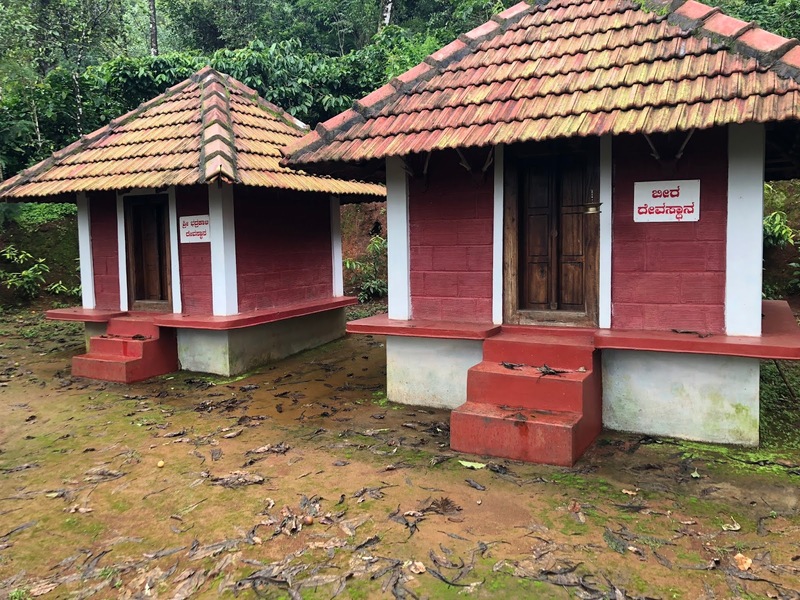 The Kapla consider themselves to be of the same status as the Kodagu Kudiya and the Tulu-speaking Paales, with whom a few of them have married. 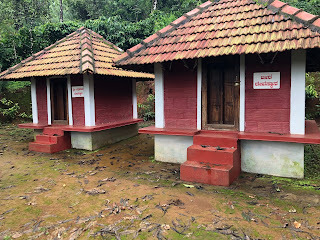 The Kodagu Kudiya, the Kembatti, and the Meda also speak Kodava thakk and follow the same culture and religion, having the same food and dress habits, the same festivals and the same ceremonies. According to researchers Ashok Patel and Sumitra, the tribe has 159 members and 33 families. One member in his 50s died due to jaundice recently, bringing down the count to 158. The man had the disease for over a year and came to know of it when his children got him admitted to the Napoklu government hospital. The Raja had settled them behind the palace and given them a piece of land. But the land was not enough for them to make a living. Hence, the Kaplas earn by working in the neighbouring farmlands, which belong to the Apparanda, Ketolira and Natolanda Kodava families. The Kaplas belong to three different kudi (clans): Aranat Kapla, the Bollaat Kapla, and the Paalekat (or Paalekoot) Kapla. Members of a clan marry outside the clan. The different clans differ in the religious activities they take part in. The Paalekoot Kapla claim to have married with the Paales. Aranat Kapla is one among the different families remembered during festivities at the Padi Igguthappa temple of Kakkabe. 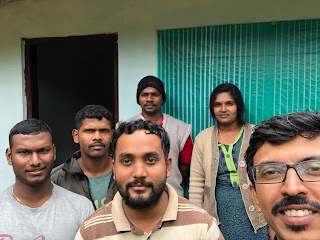 They claim to be from Arangutur village in North Malabar. Members of this family are ceremonially possessed by the spirit of Kunhi Boltu. During Shivarathri and other festivals the children of the Aranat Kapla dress themselves up in disguises as part of the festivities. In the past, the adults used to disguise themselves as well, as part of the Shivarathri night vigil. Thammi, a Paalekoot Kapla, is a member of the local Grama Panchayat village council. He says that the Kaplas are politically significant at the village level but insignificant at higher levels because of their small number. They form blocks, or administrative divisions, along with the Adia, the Paale and the Kudiya tribes of the village. 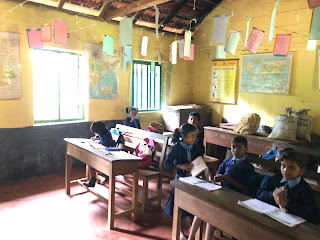 The children study until the 5th standard at the Aramane school, where they are taught Kannada and English. Then they go to the Kakkabe Government school which is three kilometres away. The parents save money and send their children to the Kakkabe school in auto-rickshaws. These pictures show early members of the Mathanda family. The first picture is of a grandfather, his son, and young grandsons. This photograph was taken by Rev. G. Richter, who was in Kodagu between 1856 and 1870. 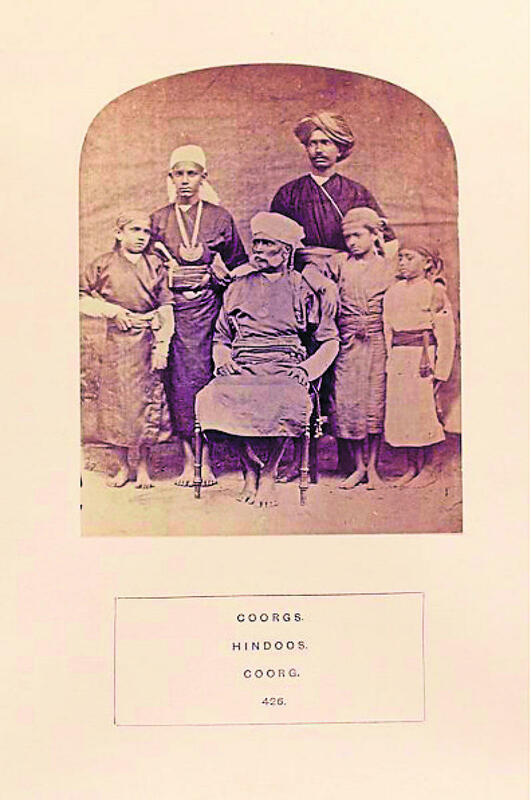 As the principal and inspector of Central School, Mercara, Richter wrote the Gazetteer of Coorg (or Manual of Coorg) in 1870. This picture is dated 1859. This picture made its way to the 1875 People of India photographic series. 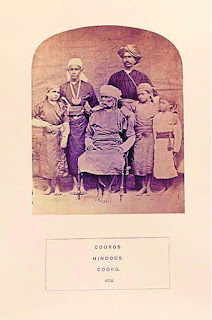 The elderly man in the picture is Mathanda Karicha, called Mattana and mistaken for the Subahdar of Mercara by Watson and Kaye (in 1875). His son is the distinguished but unassuming decorated war hero Mathanda Appachu. He is the real Subahdar, albeit of Beppunad, in Mercara (Madikeri) taluk, and recipient of the war medal his father wears. As a mark of respect and humility, Appachu gave his father and clan elder the medal to wear. His eldest son wears the kokkethathi, or moon pendant, worn by both men and women. The male members of this family are seen wearing Kuppya Cheles of different colours. The grandsons are Chengappa, Nanjappa, Belliappa and Poovaiah in an unknown order. The second photo shows Appachu among eight Kodava thakkas in the 1860s. 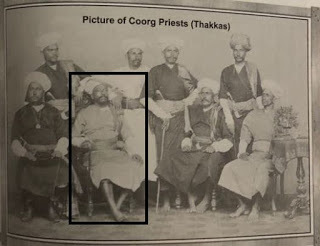 They are mistakenly called 'Coorg priests' by the Europeans, while in fact, they were actually native leaders. Appachu was Subahadar of Beppunad in the 1850s. In the 1860s, he became Head Sheristadar (native judicial official) at Madikeri. The third photo shows Appachu and his four grown-up sons in 1870, some 20 years after the first photo. The children in the 1859 photo are now young men. The middle-aged Appachu in the same 1859 photo is now an old man. Between 1867 and 1876 Appachu was Diwan of Kodagu. Mathanda A. Chengappa was claimed to be South India's first Barrister. He studied in London but died young in 1875. Mathanda Nanjappa was an Assistant Commissioner of Coorg (Kodagu) and died the same year, in 1875. Diwan Appachu died the following year in 1876. Another son, Poovaiah, also died early, as a bachelor. Two other boys in this picture are relatives who have not been identified. In Kodagu, a certain folk song describes the local government in the region. Eight chieftain clans called the desa thakka (regional chieftains) resided in places spread across Kodagu. The Mathanda was one of these. 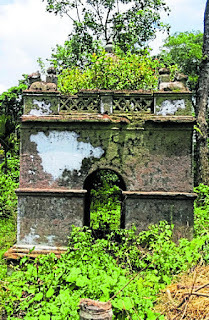 In Bollumad village of Beppunaad region, I chanced upon the sepulcher of Appachu. It lies in the lands of his descendants. This tomb has a small dome and turrets on top with four bulls at the corners of the flat roof. There are also memorials of his predecessors, one is a white stone upon a platform on the grave of Mathanda Maanu and under a tree. The other is a small red shrine, called Kaimada, which is dedicated to Maletira Karicha of Kedamallur, the common ancestor of all Mathanda clan members. In 1834, the British East India Company (EIC) sent an army of 6,000 sepoys to invade Kodagu. This infantry of the Company’s Madras Army was divided into four columns. One column was to march into the region from the east, one from the north and two from the west until they reached Madikeri, the capital of the principality. 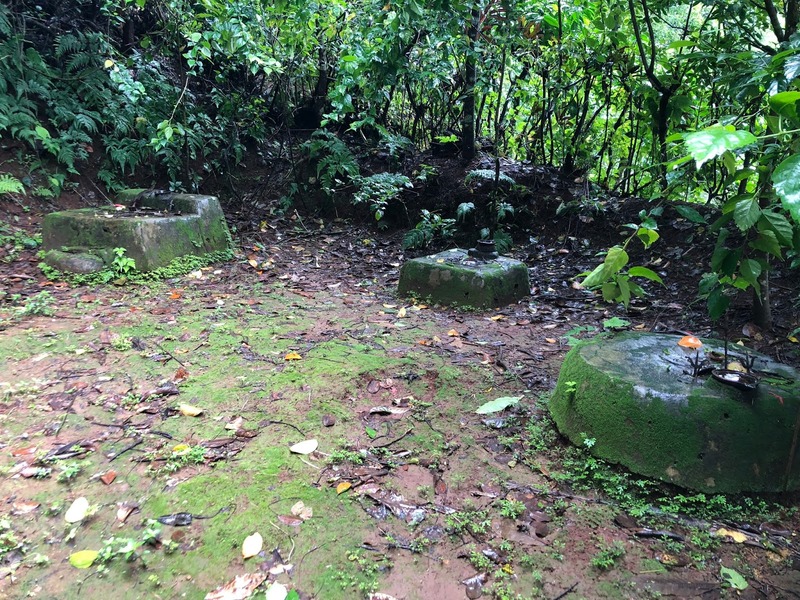 The Kodagu army defended it fiercely, using weapons they had purchased from the Portuguese and other colonial powers along the western coast of India. The northern column of the company’s infantry was to meet the eastern one near Harangi village. In order to do that they had to pass through another village near Somwarpet, which was secured by a bakka (a stockade comprising of a mud ditch, fortified with thick bamboo tree-trunks) in the forest hills. 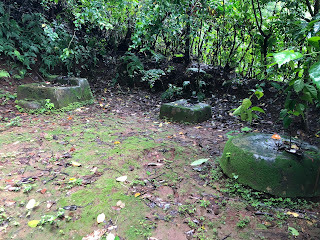 This village was also the base of the Kodagu resistance. Mathanda Appachu was a tall young man from Beppunaad, Kodagu, who rose within the ranks in Chikka Vira Rajendra the Raja of Kodagu’s army to become a karyagara (officer). Appachu and his men were in defense of the bunker and fought hard against the northern column. They aimed their guns through the wooden palisades of the bakka and killed 48 soldiers and injured 118, within four hours. No casualties were reported on Kodagu’s side, and thereby, the native army was able to beat the well-organised EIC army. However, Chikka Vira Rajendra was not keen on angering the British and wanted to avoid further conflict. So he sent his diwans to surrender on his behalf. The eastern column was escorted from Kushalnagar to Madikeri. Three days later the Raja emerged from hiding and the British had by now taken over Kodagu. The British were now keen on maintaining order and thereby, there was no retaliation for Appachu’s actions. Rather his bravery was appreciated and he was made a Subahdar (native governor) after he swore allegiance to them. A few years later, Subahdar Mathanda Appachu and 60 men suppressed some rebels, who had planned to take over Madikeri. He was awarded the Coorg Medal for this. Appachu resisted Christianity but promoted western education. 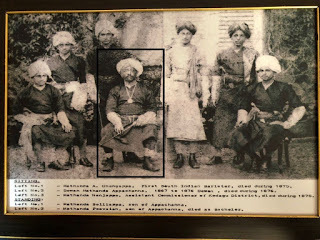 In a letter related to an endowment for the Mercara Central School (Madikeri Government School) dated 17th October 1863 in Madikeri, among the 13 signatories, the third was ‘Madanda (misspelt) Appachoo, Head-Sheristadar’. Thus, he was one of the founders of the School Endowment Plantation Fund which later became the Coorg Education Fund. Since Appachu was also the highest ranking native official of his time, he was known as the Diwan of Kodagu. This was an unofficial designation.